Grew up… everywhere, as part of a traveling carnival. Patrick wasn’t very old when his father recognized that Patrick was gifted with incredible powers of observation and deduction. Seeking to make a quick buck, Patrick’s father exploited his son, turning him into a carnival “psychic.” Unable to handle the guilt of ripping off innocent people, Patrick eventually fled the carnival with his future wife, Angela Ruskin. Living… for revenge, in Sacramento. After fleeing his life as a carnival attraction, Patrick became a famous television psychic. During one of his TV appearances, he called the infamous serial killer Red John “ugly and sad.” This taunt provoked Red John to kill Patrick’s wife and daughter – driving Patrick to swear vengeance at any cost. Profession… consultant at the California Bureau of Investigation (CBI). Patrick is primarily interested in the Red John case, but found that his uncanny ability to read people, combined with his natural genius, made him one of the best detectives in California. He enjoys helping people, and feels that working with the CBI finally gives him the chance to use his powers of manipulation and suggestion for good. Still, he never loses sight of his goal—at the end of the day, Patrick is with the CBI to figure out who Red John is and kill him. Interests… life’s simple pleasures. 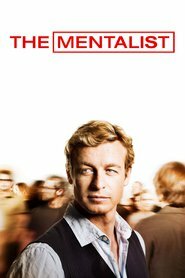 While his driving obsession in life is revenge on Red John, Patrick Jane still strives to find happiness when he can. He appreciates good eggs, good music, and good people. He is often seen with a cup of tea in his hand, and a poetic observation on his lips. His signature three-piece suit also speaks to his love of beauty. Relationship status… widowed. Patrick is still grieving his wife’s death, and has no real interest in pursuing romantic relationships. He is closest to Teresa Lisbon, a CBI detective who works with Jane on almost all her cases. The two have a rapport and clear chemistry, but due to Patrick’s grief and Lisbon’s professionalism, neither is ready to make their relationship into anything more than a friendship. Challenge… bringing Red John to justice – Patrick’s form of vigilante justice, anyway. As a consultant at the CBI, Jane is constantly working on new cases, meaning he grapples with new challenges every day. But in every one of his cases Patrick is always looking for traces of the notorious Red John. He also occasionally runs into trouble for his “creative” methods of case-solving. Then it’s up to Lisbon to rein him in again. Personality… easy-going, playful, and completely sure of his own abilities, Patrick’s sunny disposition masks the incredible guilt that accompanied losing his family. His time as a fake psychic has made him a master manipulator – although he’s put his days as a con man behind him and now seeks to only use his talent for good. While he is obsessed with revenge, Patrick feels a sense of responsibility to the living, and is loyal to his coworkers and kind to those who need his help, especially children. Patrick Jane's popularity ranking on CharacTour is #1484 out of 5,000+ characters. See our top-ranked characters and read their profiles.